Now that you think of it, red is one of the primary Christmas colors and blue is not. Right? So maybe that helps explain why the Christmas wars seem extra, extra nasty this year -- or are being covered that way by the mainstream media. Perhaps this is all part of the values-based bitterness that followed 11/2. Are there really more angry Christians on the march these days or are there simply more upset reporters out there searching for angry Christians on the march, inspired by nightmare visions of dancing theocrats? I can't answer that question, even as I strive to keep up with some of the questions that readers are asking about my recent post about the equal access laws that affect the holidays and the public square. Something else I can't do right now is take the time to post the URLs for even a 10th of the Christmas madness stories I have seen in the past few days. As always, this means we should happily turn to the tireless cybercrats at the Christianity Today weblog. Wear yourselves out, people. Click away. However, this is one of those weeks when I would like to point GetReligion readers toward my own Dec. 25 column for the Scripps Howard News Service, which went to the Washington, D.C., bureau this morning. It's about what has happened to Christmas and I must admit I am hoping it ticks off some people -- church people. It's an interview with Loyola College scholar Joe Walsh (not the guitar slinger by the same name) and its about skipping Christmas -- the 12 days of Christmas. Here is one of the key sections of the column. The key: What happened to wreck Christmas? How did it get sucked into the whole commercial, industrial black hole? Here goes. The Puritan revolution in England played a major role, with its rejection of anything Catholic. Many liturgical and cultural traditions were weakened and never fully recovered, even if they were later celebrated by writers such as Charles Dickens. This had a major impact in the American colonies, where Christmas celebrations were frowned upon or in some cases banned. At the same time, explosive growth of English cities during the industrial revolution uprooted millions of ordinary people, breaking centuries of ties binding families to churches, land, farms, shops and kin, said Walsh. Quaint traditions that united villages were hard to move to slums in London, Birmingham and Manchester. And what about New York City and the American frontier? Modern suburbs do not have a church in a public square at the center of town. Most don't have a public square at all and the true community center is the shopping mall. While many people complain that lawyers and activists have "taken Christ out of Christmas," the truth is more complex than that. The reality is that almost everyone is skipping the 12-day Christmas season, including church people. OK, people, let me have it. Before you click the comment button, you may also want to read this, this and even this. Just do it. But please, please, do not get started arguing about the pagan roots of winter festivals and the corrupt adoption of some of these rites by early Christians and all of those other tired threads. Yes, I know all of that. My goal was to explain -- in a short, mainstream newspaper column -- some of the history of the ancient traditions linked to the 12 days between the Feast of the Nativity and Epiphany. The reality is that very, very few modern Christian believers even know that this holy season exists. Sadly, this seems to be as true among Catholics and the Orthodox as well as among the usual Protestant suspects in the booming suburban megachurches. 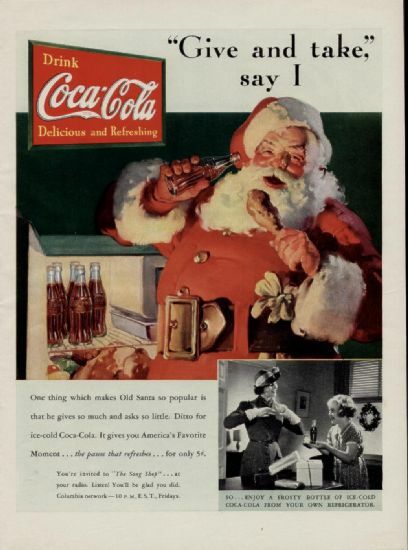 We all live in the wake of a century of iconic Coca-Cola ads, superhighways, charge cards, television, cheap airfares and all of the other factors that have undercut family and community traditions. That's the Christmas reality. Complaining about the ACLU has nothing to do with these larger Christmas issues. UPDATED: If readers are interested in this whole topic, check out the Associated Press column this week by, of course, Richard Ostling. It covers the familiar viewpoint that the Dec. 25 date may have come from a pagan source, linked to the "Birth of the Unconquered Sun" rites. Then, Ostling digs into the views of church-history scholar William Tighe of Muhlenberg College (featured in Touchstone magazine), who argues that the pagans may have been trying to compete with the early Christians. Some Christians may have linked the Nativity to a date already set in tradition -- the Annunciation. The reasoning is interesting, so check it out. Chrysostom had a further argument that modern scholars ignore: Luke 1 says Zechariah was performing priestly duty in the Temple when an angel told his wife Elizabeth she would bear John the Baptist. During the sixth month of Elizabeth's pregnancy, Mary learned about her conception of Jesus and visited Elizabeth "with haste." The 24 classes of Jewish priests served one week in the Temple, and Zechariah was in the eighth class. Rabbinical tradition fixed the class on duty when the Temple was destroyed in A.D. 70 and, calculating backward from that, Zechariah's class would have been serving Oct. 2-9 in 5 B.C. So Mary's conception visit six months later might have occurred the following March and Jesus' birth nine months afterward. In other words -- do the math.